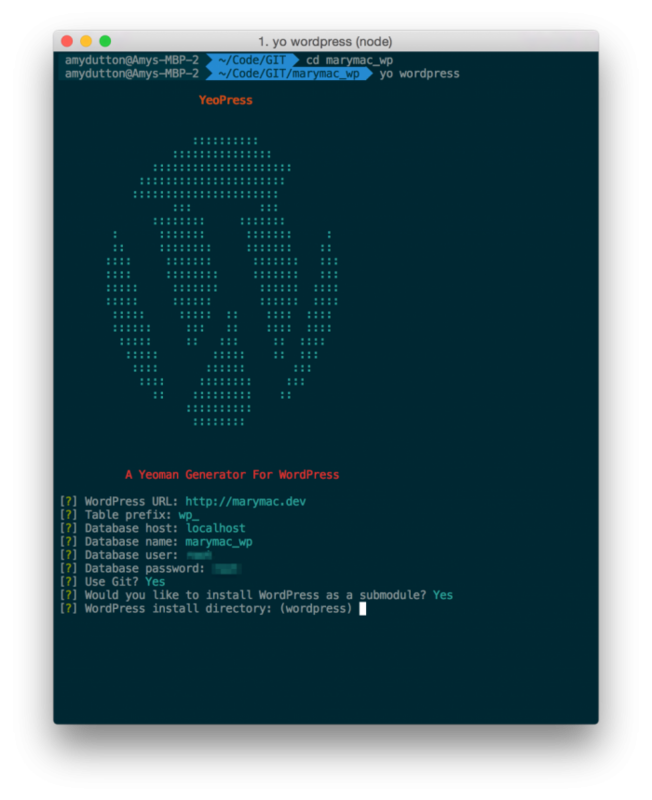 Run the 5 minute WordPress install. 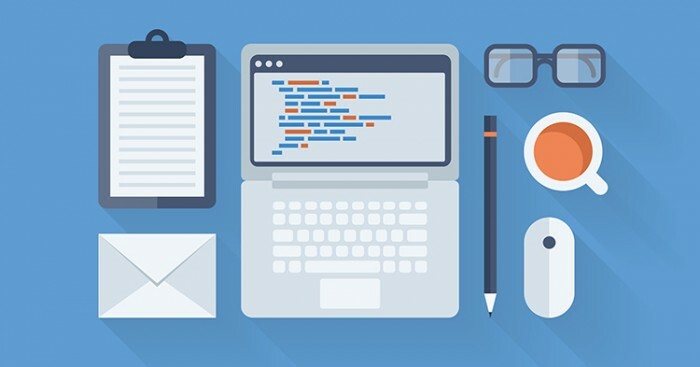 Copy and paste the theme file into WordPress’s theme directory. Find your base plugins that you know you’ll need. Download each of them individually. Copy and paste the plugin files into WordPress’s plugin directory. That’s 11 steps, at least! I know, if you do it enough times you could probably get that down to a 15 minute setup, and that’s probably only if you have local versions of your boilerplate theme and plugins that you can quickly copy and paste into the respective directories. But, why? Why would you even want to waste your time doing such mindless work every time you start a project when you could be spending that time designing and developing something beautiful and original? What if I were to tell you that you could cut down that down to two minutes…on a bad day? Interested? If you can hang with me for the length of this post, we can get you set up and you can start being more efficient. Remember in English class, how they told us to (1) say what you’re going to say, (2) say it, and then (3) say what you said. I always remember thinking, “That sounds redundant.” Well, I’m going to take a lesson from Mrs. Nooks. I’ll tell you a little bit about the tools we’re going to put in our tool chest, then I’ll show you practically how to use them. It may get a little technical from time to time, but try to stick with it, it will be worth it. If we’re going to use it, we have to install it. Fortunately for us, this is easy. There’s a big green “install” button their site. Click it. Once the package is downloaded, unzip, and double click on the package to install it. Hooray! 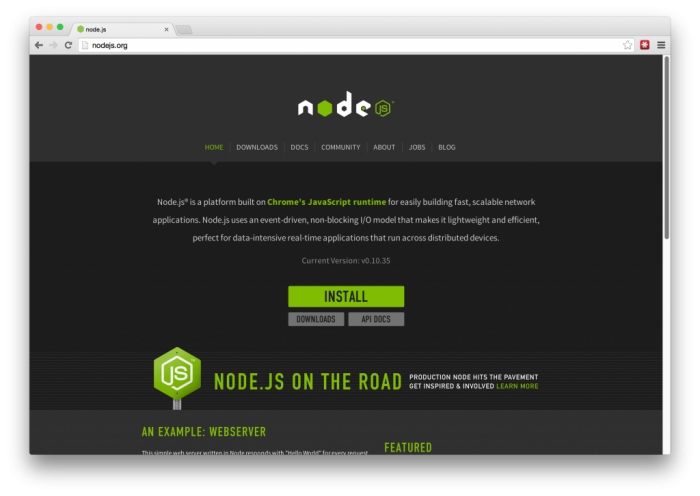 Grunt and Gulp also run on Node. (Blog post for the future.) Just know, for now, we’re set up for success! Yeoman is a project generator. It can do quite a bit, setting up sites and scaffolding (and not just for WordPress). 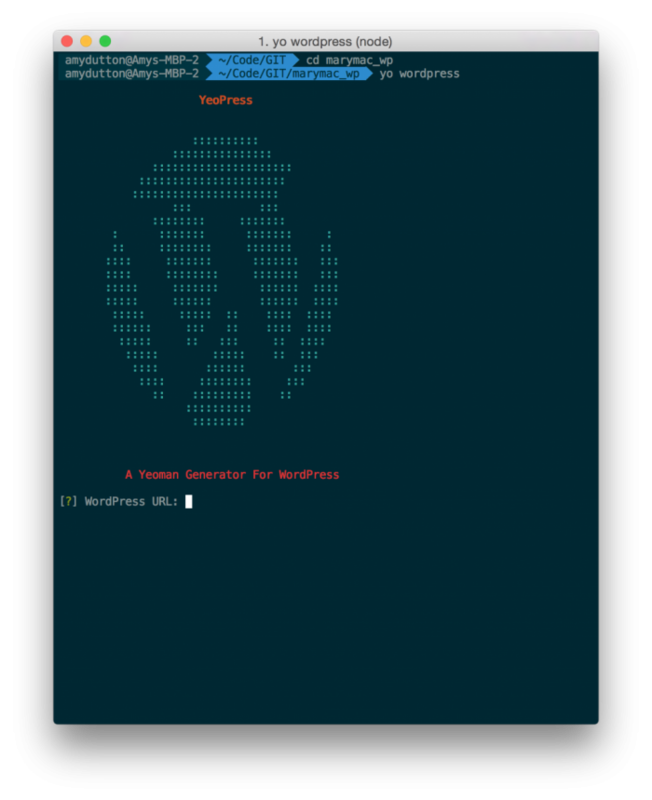 We’re going to take the easy way out and use a generator Wesley Todd has already created specifically for starting a WordPress project: YeoPress. You can go to the git website, download the file, unzip, and double click on the package to install it. Done and done. Sudo forces your computer to run the command. It will ask you to enter your computer’s password. You should see it return Sass 3.4.9 (Selective Steve). 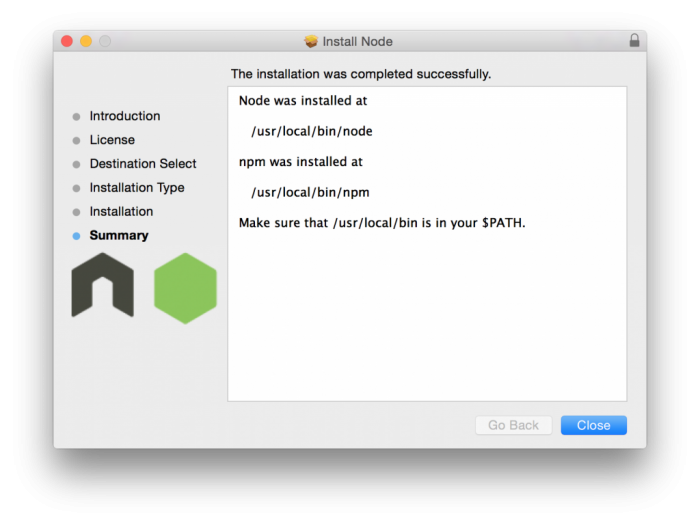 npm just means that it’s a node command. 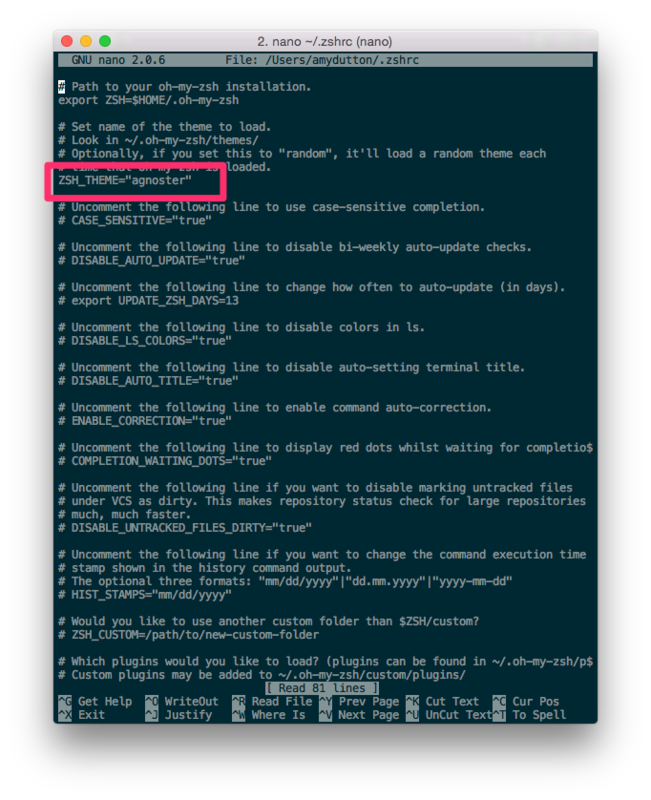 Now, within the Terminal, we just have to navigate to the folder we want to install WordPress inside of. If I lost you at, “within the Terminal,” it’s OK.
For the longest time, I was uncomfortable inside the Terminal, too. But, I promise, the more you use the more comfortable you’ll become. As soon as you see the benefits that the Terminal provides your workflow, it will eventually become something you can’t / won’t want to ignore. You can get started with the Terminal here. If you’re doing local development (as you should), enter that URL in. This is the table prefix for your WordPress database. By default it’s wp_. Stay with that. It makes it easy when you’re looking at your database to be able to tell which tables are related to your WordPress install. I use a free app on my Mac, called Sequel Pro to manage my databases. 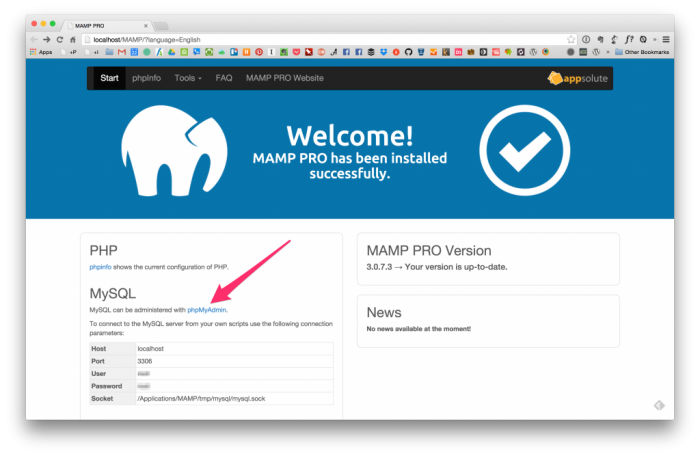 But, if you’re using MAMP, you can do everything through PHPMyAdmin. MAMP will also list all the credentials you need (host, user, and password) on the WebStart page. More on this later, too, but for now, take my word and just say “Yes”…err, rather “Y”. Would you like to install WordPress as a submodule? There are people that sit on both sides of the fence on this one, people for and against. First, let me explain what a submodule is. Submodules are a “Git thing”. It’s essentially an external Git repo that your repo references. Think of it as a nested repo that you can update it independently. When you think of it in those terms, it makes sense to implement WordPress as a submodule. 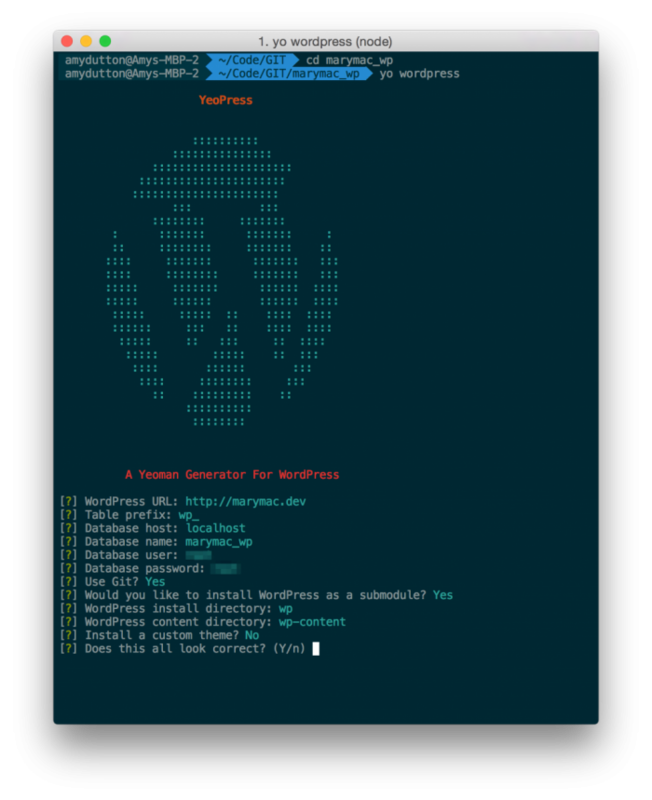 I don’t manage the WordPress core, so why not make it seperate and reference the actual WordPress repo itself? 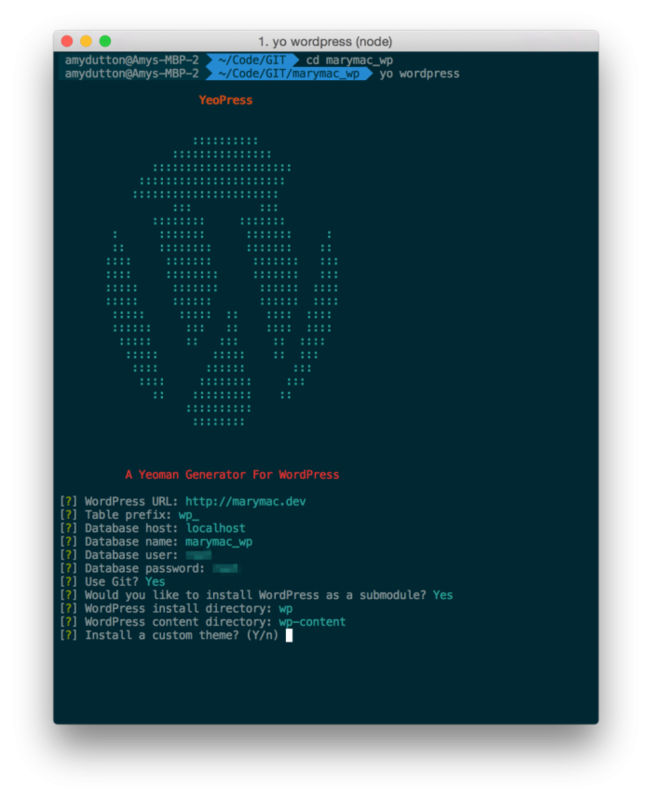 So… “Yes” install WordPress as a submodule. I choose “no.” But, I think this would be a good area, in the future, to streamline my process even more. Boom! It will download WordPress for you and set up your config file. Granted, the set up may sound a little verbose, but we just condensed that 11 step process into a few lines of code. For years, I’ve been afraid of the Terminal. I was scared that I would erase my entire hard drive with a single typo. But, then I started using grunt. I found it to be so much faster and allowed far more task automation than the tools I had been using previously. IMHO, anything that will speed up your workflow is worth investing in (whether that’s time or money ). Once I started spending more time in the Terminal, I became more comfortable and confident. Trust me, I still prefer a GUI (graphical user interface), but I’m no longer afraid I’m going to delete my entire harddrive. — And let’s be honest, you could delete your entire hard drive with a GUI too. Drag your harddrive to the trash and click “Empty Trash.” But, nobody in the right their mind would do that. Similarly, you’d have to type a very specific command in the Terminal to delete your entire harddrive and nobody in their right mind would do that either. — Plus if you have a typo in the Terminal, it will tell you and the command won’t run. When you see examples of command lines in the Terminal and you see a $. Don’t copy the $, it just signifies that it’s the beginning of a Terminal line. You can type cd .. to go up a level or cd ../.. to go up 2 levels. cd / will take you to your home directory. The Terminal also supports tab auto completion. So you could type cd De<TAB> and it will fill in cd Desktop for you. Handy! ls will list all files and directories in your current location. pwd will show you the current file path to your current location. Anytime, you hit the up arrow on your keyboard, it will fill in the last command you ran. Hit it again and it will cycle to the command before that. The down arrow cycles in the opposite direction. This navigates to the GIT folder and then creates a new directory for a project. Then, navigates inside the folder I just created. If this is still making your head spin, here’s a WYSIWYG way that I saved until the end: Open up your Terminal type in cd . Then, open up Finder, navigate to the Folder you want to open in Terminal and drag that folder from the Finder onto your Terminal window. It should enter the location for that file path for you. Now, hit <RETURN>. — You’re welcome. I use iTerm2 instead of Mac’s default Terminal. It has a little bit more functionality. My favorite feature, I have a shortcut set up so that any time I hit ALT + Cmd + Space, the Terminal overlays my entire screen. Using the same command sequence will toggle it off. This is great for quickly checking on a grunt or gulp task. Go to iTerm > Preferences. Click on the “Profiles” tab. 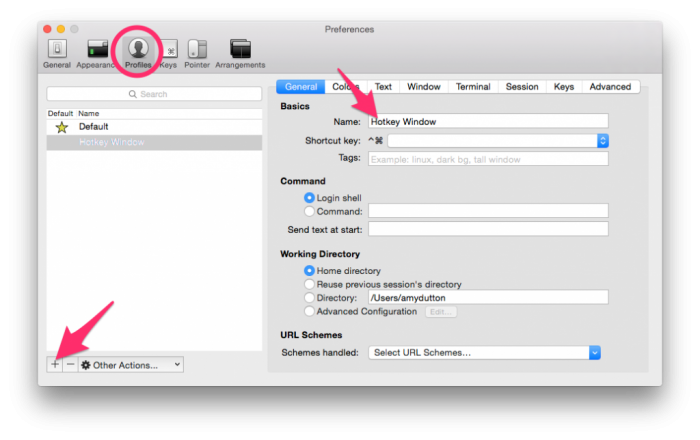 Then, under the Keys tab, check “Show/hide iTerm2 with a system-wide hotkey. As I mentioned, I’m using ALT + Cmd + Space, but do whatever works best for you. 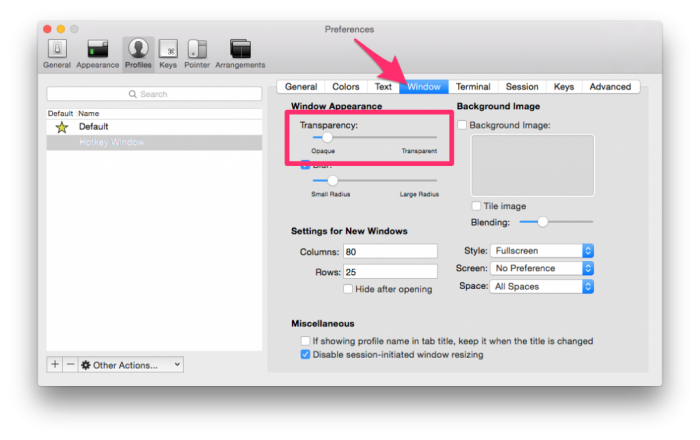 Also check “Hotkey toggles a dedicated window with profile:” and make sure “Hotkey Window” (or whatever you named your custom profile is selected from the dropdown. 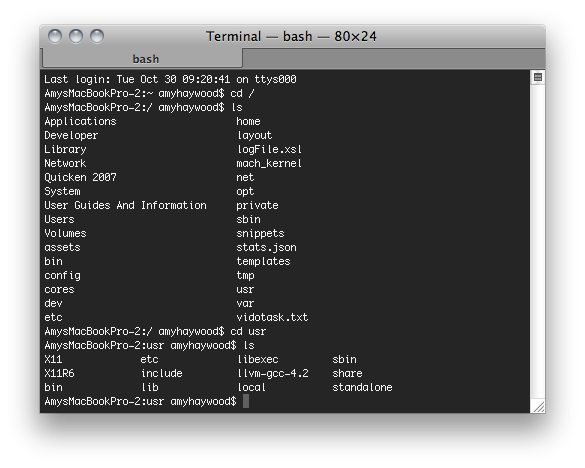 I’ve always wondered how people were able to customize their Terminal to be all kinds of cool colors. Then, I was introduced to Oh My Zsh = Awesome. Even if you could care less about Terminal colors, there are other short cut codes packaged within Oh My Zsh that make Terminal life even better. 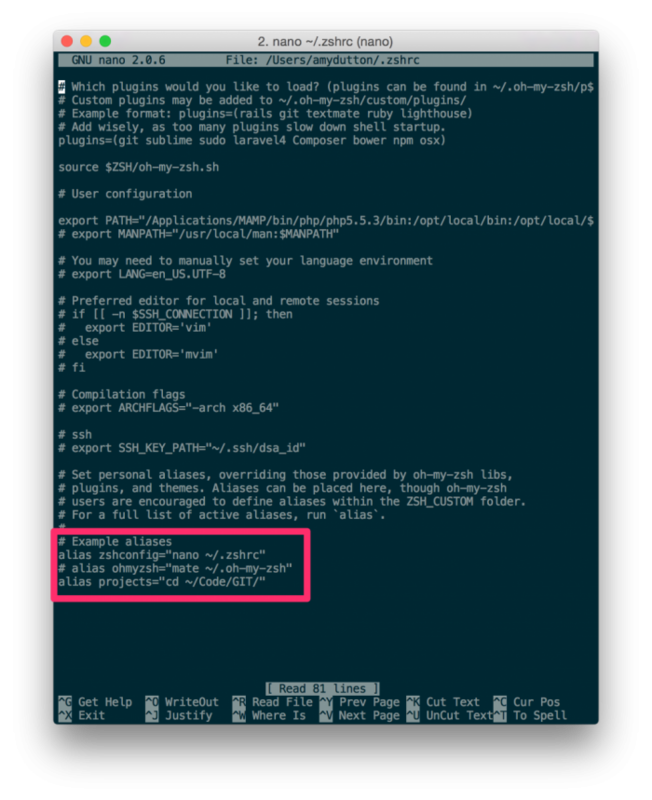 Then, you can start Zsh by simply restarting or opening a new command window. There are plenty of themes to choose from. I went with the agnoster theme and then the colors in my Terminal to use the Solarized theme. nano is a simple text editor that runs within the Terminal. So, we’re simply telling it to open our preference file in nano. Go to the line that’s called ZSH_THEME=“”. Change that line to the name of the theme you want to use, in our case agnoster. Then, type Ctrl + O for “Write Out” (also save). It will ask for the file name, just hit enter to keep the same file name. Then, type Ctrl + X to exit. To install the Solaraized theme, click on the download link on their site (also available on their GitHub page). Unzip the file. 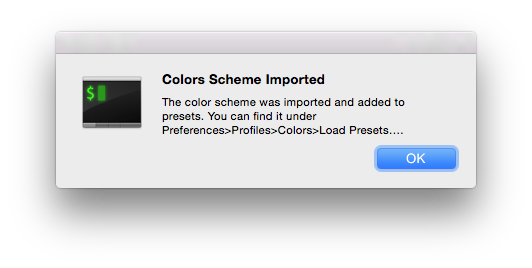 Navigate to iterm2-colors-solarized. Double click on the Solarized Dark.itermcolors file. 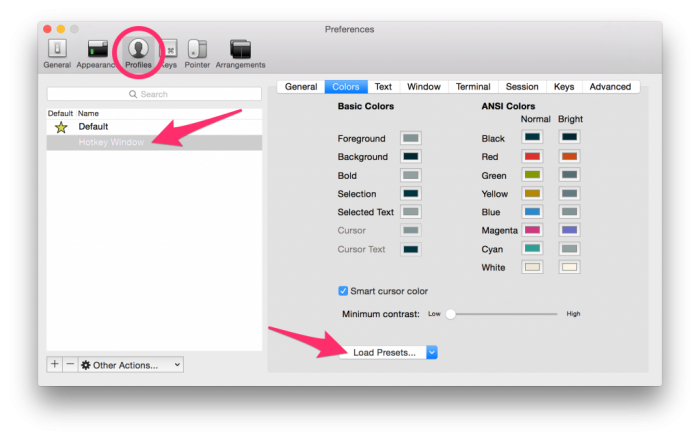 It should launch iTerm2 with a pop-up message explaining that the color scheme has been loaded into the iTerm2 Preferences (Preferences > Profiles > Colors > Load Presets). 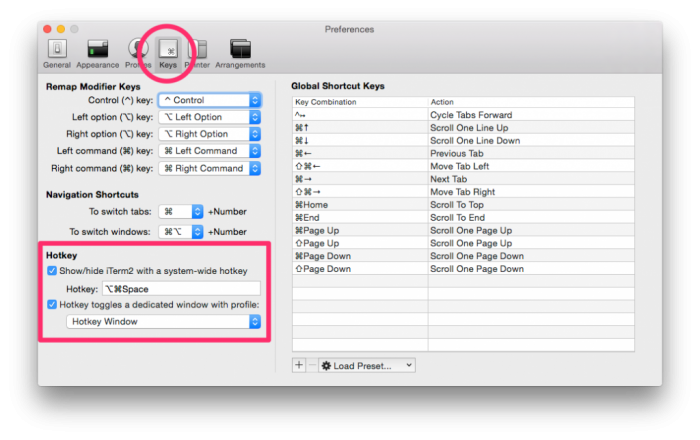 Make sure your “Hotkey Window” profile is selected and choose “Solarized Dark” from the Load Presets… doprdown. As you begin using the new theme, you may notice some of the characters are not appearing correctly. I’m using Menlo for Powerline. You can go to their GitHub repository, download, and install the font. There are some other options in the Powerline font repo. If you’re using a font manager like Suitcase, be sure to mark the font as permanent. 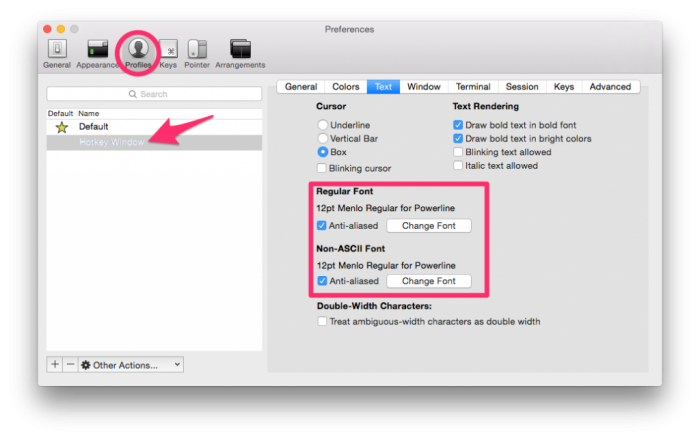 If you’re still having trouble, check the Text tab within iTerm2 and make sure the appropriate fonts are marked. Menlo for Powerline stopped working for me. So, I ended up downloading these Powerline fonts from GitHub and installing Meslo, using the same process as described above. As I mentioned earlier, “Oh My Zsh” has several shortcuts included. For example, if you’re running Composer, instead of typing composer update, you can simply type cu. Instead of git status, gst. Still not convinced? Here’s one of my favorites: you can type stt and it will open the current directory within Sublime Text. These might not sound like much, but the more you live in the Terminal, the more time it will save you. All of these shortcuts are considered plugins. You can check out all the ones that available on the Oh My Zsh’s wiki page. Once you decide which plugins you want to use, you can activate them similar to setting the theme. Include the plugin name within the parenthesises. If you still have your preference file open (nano ~/.zshrc ), look at the bottom. There are a few examples already set up, but commented out (the # in front means the line is commented out). Add a line at the very bottom, below the examples, that reads alias projects="cd ~/Sites". Then, write out the file (^O) and exit (^X). Restart iTerm2 (or open a new command window). Test it out. Nifty!